Freestanding restaurant located on Walmart outparcel in Premiere Place Shopping Center. Excellent visibility from Cobbs Ford Road with 209' of frontage. Some area retailers include Walmart, Ollie's, Kohl's, ALDI, Harbor Freight, Bath & Body Works, Academy, Hobby Lobby, among others. The Exchange is one of two commercial centers (The Exchange and Legends Park) in the upscale HomePlace Mixed Use Development in Prattville, Alabama. The Exchange sits at the high traffic intersection of Cobbs Ford Road, U.S. Highway 82, which connects with Highway 14 E. Traffic lights are located at both entrances to The Exchange on Cobbs Ford Road and U.S. Highway 82. 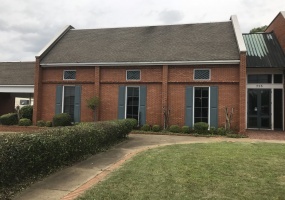 Located at 1353 Reed Street, this 11,868 SF building has a 400 seat sanctuary, pastors office, associate pastors office, prayer room, fellowship hall, drama room and four classrooms. Building was originally built in 1967 with the addition in 1998. For more information, please contact Shearese G. Grant at (334) 328-8522. 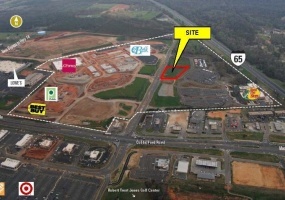 Commercial land zoned B-2 available in Prattville's fastest growing commerical area. Priced as an entire parcel. 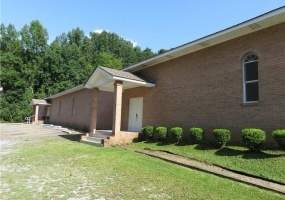 Property is located in high growth area off of Highway 14 and approximately .5 miles from Interstate 65. Available immediately for sale or lease. Situated along State Highway 14, building is 17,000 SF of production area and 2,500 SF of air conditioned office space with 6.2 acres for expansion or to divide. Built in 1998, zoned light industrial M-1. Building has three cranes with two 10 ton and one 15 ton loading capacity as well as 4 drive-in doors. Reinforced concrete floors for heavy equipment. Metal building with painted brick front and plenty of office, shop and warehouse room. Office space is 1,800 SF. Ample fenced parking in back and covered roll-up doors in the back and side. Ideal for distribution, service or mechanical trades business. High visibility off of Highway 31. For more information, contact Gary Smith at 334-399-8111 or gary@nectarbridge.com. Rental Rate: $9. 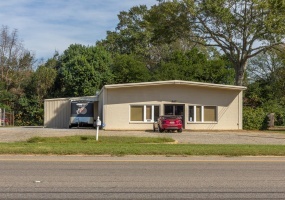 Commercial property located in high growth area off of Highway 14 and approximately .6 miles from Interstate 65. Previous use of house was for commercial purposes. 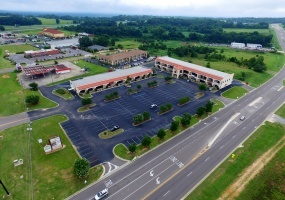 Some of the surrounding businesses include Alabama Baptist State Board of Missions Facility, Eyecare Plus, Prattville Health and Rehabilitation, and Prattville Medical Park among others. Corner of Highway 14 East (aka Fairview Avenue) and Old Farm Lane, shopping center has direct access to Interstate 65 at exit 181. 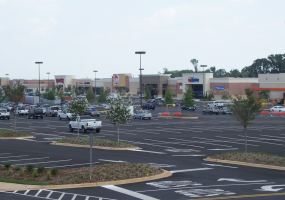 Located in a fast growing area of Prattville, Pratt's Mill Shopping Center has 4 curb cuts into center to provide excellent ingress and egress. The parking ratio is 170:1 with 254 spaces. 2.27 +/- acre site with +/- 3,000 SF building with auto bays in high traffic area of Prattville. ALDI and Harbor Freight Tools opening in December 2018 are neighboring tenants. Site has two access drives serving McQueen Smith (side street serving Wal-Mart Supercenter) and direct access onto East Main (AKA Cobbs Ford Road). 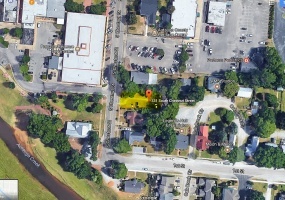 Owner willing to subdivide land and/or building. 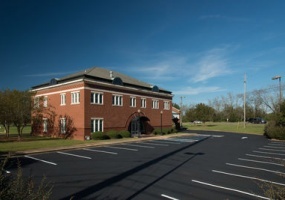 A+ Property - located in the busiest pocket of Prattville. 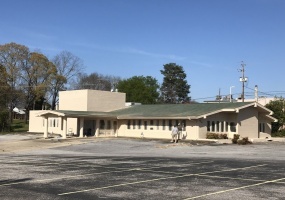 Situated on 1.3 acres this 5,262 SF building has 155 feet of frontage on Cobbs Ford Road with approximately 40,000 VPD and 77,000 VPD on Interstate 65. All utilities on site with survey and clean phase 1 environmental complete. Lot located directly in front of Bass Pro Shops and across from High Point Town Center anchored by Belk, JC Penney and Publix. Restricted against a sporting good store. Minutes from Interstate 65 Exit 179. Property located 2 miles from Interstate 65 and 1.3 miles from Highway 14. Convenient to shopping and restaurants on a major connection road, McQueen Smith. Zone commercial office. Power Center ( ±430,000 SF) anchored by Target, Home Depot, Ross, TJ Maxx, PetSmart, BAM & Office Depot is located minutes from Interstate 65. Center is adjacent to Robert Trent Jones Golf Course with available space of 8,000 SF. 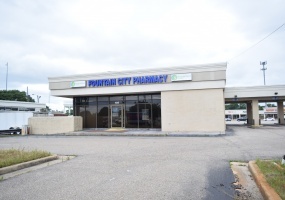 Commercial property has 5,463+/-SF one and half-story building on 0.60+/- acres previously operated as a bank. Property has vault, drive-thru, and offices upstairs. Located by retailers Winn-Dixie, Walgreens, CVS as well as a various restaurants and minutes from Downtown Prattville. Rental Rate: $10. Located on Old Farm Lane near Cobbs Ford Road, lot is one mile from Interstate 65 and the Robert Trent Jones Capitol Hill Golf Course. Property can be divided. Priced at $10 PSF or $12 PSF if divided. 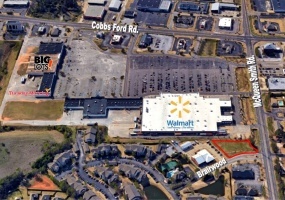 Shopping center is located in Midtown Prattville. Walmart, Shoe Station, Michaels, Burke's and Big Lots are some of the retailers in shopping center. Retail space and outparcels available. Annual lease rate $14 PSF NNN. U.S. Highway 82 & Cobbs Ford Rd. Legends Park at Homeplace is an 85 acre upscale business park designed for Class A office buildings with restaurants and hotels conveniently located near the park. Legends Park (office) is part of the HomePlace mixed use development including the Exchange (retail) and HomePlace (residential). Located at the intersection of Cobbs Ford Road and U.S. 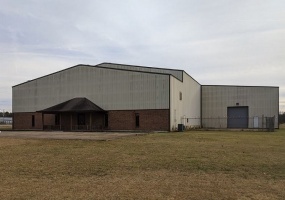 Located on Highway 31, this building is less than a mile from Interstate 65 in Interstate Business Park. 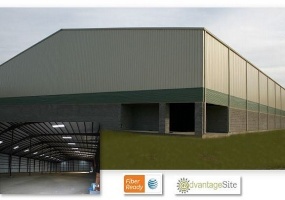 Building is expandable to 80,000 SF from its existing 50,000 SF. Zoned for light industrial. Located next to primary power provider headquarters. For sale or lease. Sale Price: $2,900,00 Lease Rate: $4.00 PSF NNN Videos Outside Video 1: https://vimeo. Located in Midtown Prattville, it is convenient shopping, restaurants and surrounded by well-established single family and multi-family communities. 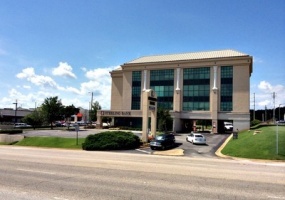 Located on Cobbs Ford Road, this facility is a Class A office building. It is directly accessed from Cobbs Ford Road and Premiere Shopping Center. Convenient to shops, restaurants, and just off of I-65. Located in historic Downtown Prattville. Lot is one block away from Autauga Creek. Zoned B-2. Former pharmacy, building includes vaults and drive-thru. Lease terms negotiable. High traffic retail location with traffic counts of 20,440 +/-. Former bank building with drive-thru located at the corner of McQueen Smith Road and Alabama Highway 14 East. Uses bank, commercial and office. Zoned B-2. Former restaurant, this building is surrounded by redevelopment of neighboring business as well as Downtown Prattville. Property available for sale or lease. Pratt Corners Shopping Center is a 17,700 SF facility with available space for lease ranging from 1,200 - 2,400 SF. 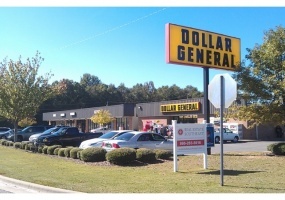 Great visibility and access from both highways 14 and 82 with #1 Dollar General as an anchor retailer. 49,500 square feet (expandable to 80,000 square feet) industrial spec building located in Interstate Business Park. Metal and block construction. Dimensions 150 ft. by 133 ft. with 32 ft. eave height with 35 ft. center height.